Succulent plants look stunning planted alone or as companions to other house plants. They are easy to care for options for your home decor. 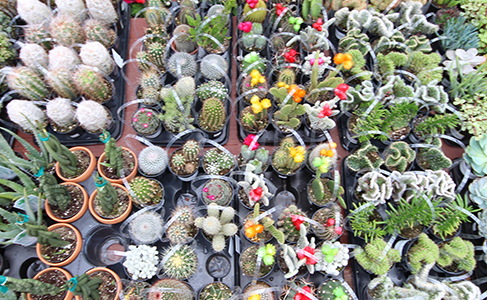 There are vast and diverse cactus and succulent plant choices in our greenhouse all year round. Succulents prefer the dry humidity and warm conditions found in most homes, and while they like direct light, they can adapt to lower light. They thrive in a fast-draining potting soil mix that's not watered too often. Allow the soil to dry out between waterings.